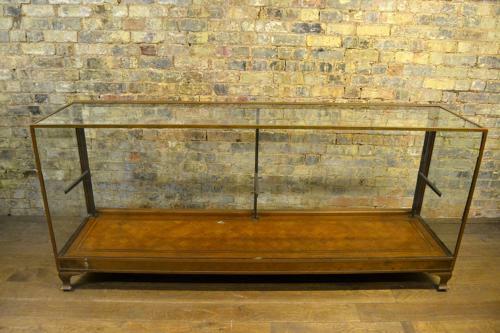 Rare all bronze counter with bronze legs and sliding back doors - very high quality. Has 1 adjustable glass shelf, but more can be added if required. Lovely oak parquet base.